GuildQuality conducts an independent customer satisfaction survey with all of our clients upon completion of their job. We read every one (EVERY ONE!) to see how we can improve our program and processes. TEN all star experiences in a row is a formidable achievement and the PBC Team is VERY PROUD! Click here to go directly to GuildQuality to see what our previous clients have to say! https://plantationbuilding.co/wp-content/uploads/2017/04/guild.jpg 939 939 Kathy Spetrino https://plantationbuilding.co/wp-content/uploads/2017/12/logo.png Kathy Spetrino2017-04-13 16:42:582017-04-13 16:42:58TEN All Star Experiences! Explore RiverView Townes + RiverLights! https://plantationbuilding.co/wp-content/uploads/2017/01/riverviewtownes.jpg 900 900 Kathy Spetrino https://plantationbuilding.co/wp-content/uploads/2017/12/logo.png Kathy Spetrino2017-02-20 23:13:512017-03-31 23:15:39Explore RiverView Townes + RiverLights! RiverView Townes is OPEN for business! RiverLights hosted a 5k “Glow Run” and officially lit the holiday lights on Saturday, December 3rd. Meanwhile, RiverView Townes also made a long awaited debut by opening the gorgeous 8′ entry doors to the eager public! We received excellent feedback and appreciate all the people who visited as PBC is very proud of this project. https://plantationbuilding.co/wp-content/uploads/2016/12/RVT-december-e1480883908186.jpg 1200 1200 Kathy Spetrino https://plantationbuilding.co/wp-content/uploads/2017/12/logo.png Kathy Spetrino2016-12-04 20:48:092016-12-04 20:48:48RiverView Townes is OPEN for business! We love being the resource that homeowners look to for home building information. 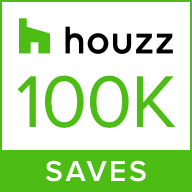 This little icon means that Houzz users have downloaded our pictures or used our ideas over 100,000 times! On Thursday October 27th, PBC, One Properties Group + OnQ Financial celebrated a gorgeous fall evening at the RiverView Townes. This exclusive broker event was to introduce the locals to the neighborhood and see what the Townes have to offer in finishes + details. The first two units are scheduled to be completed late November and we are tentatively scheduling an “Open House Party” in early December! Check out the video and watch to the very end to see another gorgeous Wilmington sunset! The Brunswick County Parade of Homes awarded PBC with a Diamond Award at the celebratory banquet last night! Yes, the diamond is the size of Jon Henry’s head!